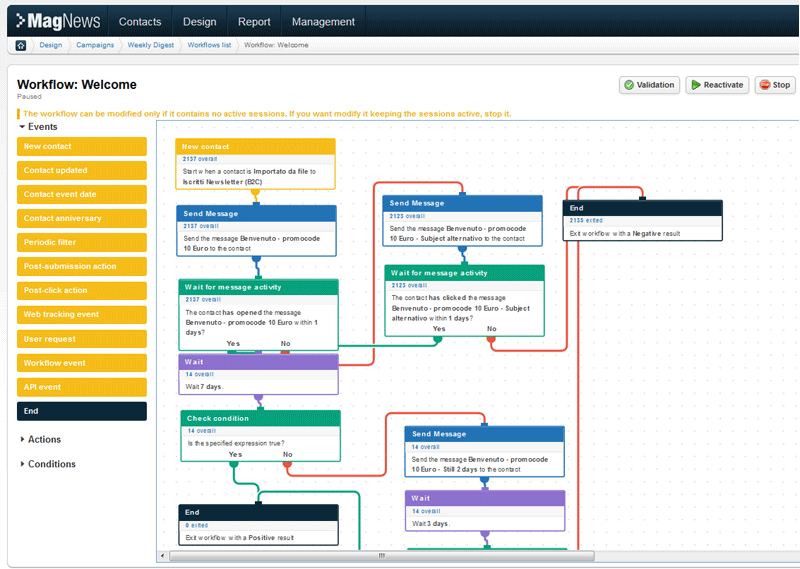 MagNews is a user-friendly, multilingual multichannel marketing & automation platform. It is available in SaaS and On-premise version. MagNews allows marketers to develop and manage acquisition, loyalty and cross-selling programs. 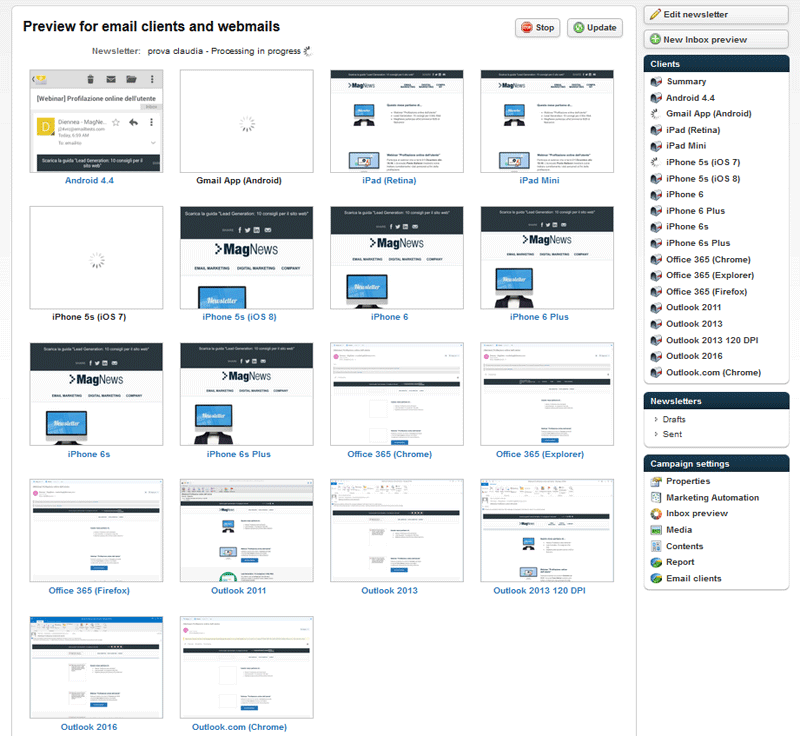 MagNews includes email marketing tools for personalized communication. a contact management system for managing mailing lists and progressive profiling, marketing automation features to guide workflows for specific customer journeys. Complemented with advanced reports and statistics to monitor campaign performance and integrations with the main commercial platforms. 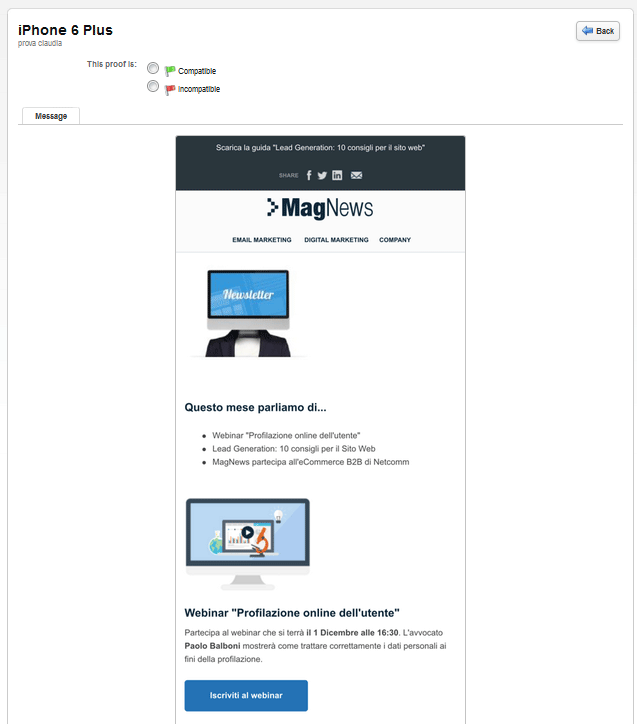 MagNews is a product by Diennea, a company specialized in Digital Marketing Solutions founded in Italy in 1996. With offices in Faenza, Milan, Pisa (Italy) and Paris (France) and more than 100 employees, Diennea today has chosen by more than 600 top international worldwide companies using their solutions. Current clients include International companies such as Ducati, BMW, Alessi, Banca Generali, Canon, Valextra, Canali. Thanks to experience in email delivery solutions, Diennea was able to develop EmailSuccess, its own smtp server software built for companies with high-performance and high-volumes needs. Are you looking for an MagNews alternative for your email marketing? We listed some MagNews alternatives. MagNews is a user-friendly, multilingual multichannel marketing & automation platform. 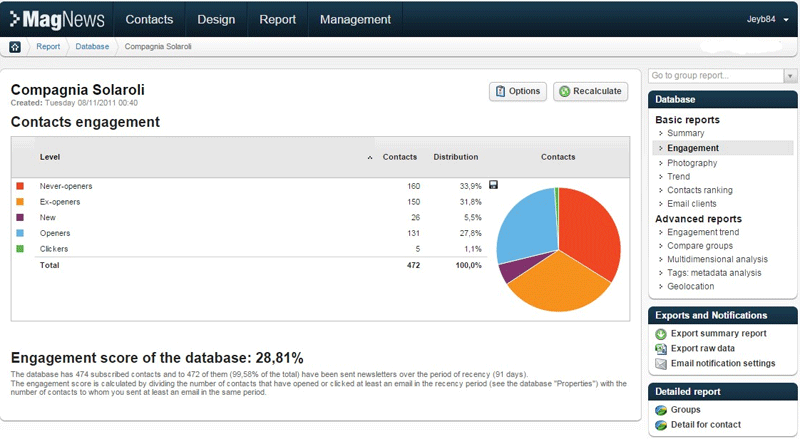 It is available in SaaS and On-premise version. 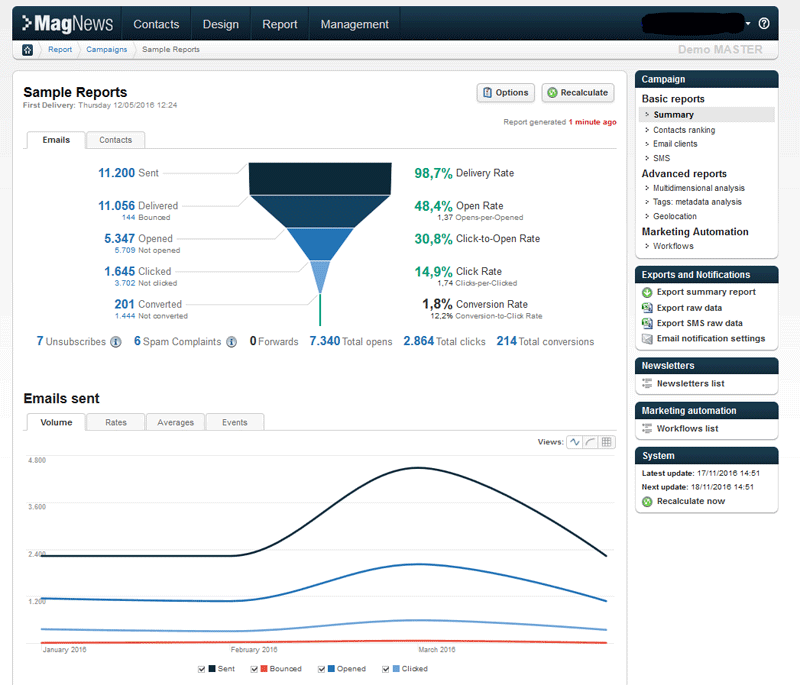 MagNews allows marketers to develop and manage acquisition, loyalty and cross-selling programs. It's tools and features support the creation of advanced and personalized cross-channel communication. 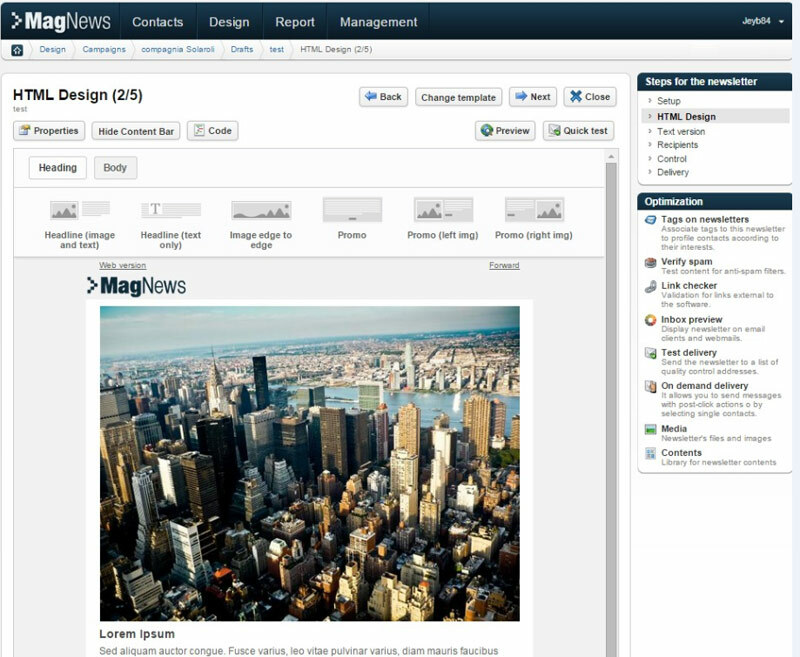 MagNews allows marketers to easily build and mangage their email & mobile campaigns with a set of specific and exclusive features: Advanced Database Segmentation, Drag & drop Editor, SMS Editor, Advanced Reports, Conversion tracking and Engagement Score, Survey tool, Spam & Errors check, Inbox Preview, Send time optimization, bounce management. MagNews provides best performances upon customizable dynamic workflows to build welcome, up-selling and cross selling programs and build loyalty campaigns. Automation tools allow marketers to build real time and personalized flows of email, sms and social campaigns based on consumer behavior and his preferences. MagNews provides aggregated Multichannel analysis to easily understand the redemption of a campaign. MagNews is a highly customizable platform, natively integrated with the most important CRM (MS Dynamics, Salesforce), Ecommerce Platform (Magento and Prestashop), CMS (Wordpress), cloud storage (Dropbox) and web analytics systems (Google Analytics). Through an API Web Interface, MagNews can be integrated with any external system of your company.